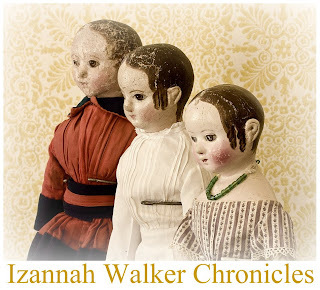 Yesterday I drove from Maine to New Hampshire to take pictures of some wonderful antique dolls at Withington's. While I was there, Larry and Marcia showed me a charming cloth one of a kind folk doll. Look at that face! This is quite a large doll. I didn't remember to ask for the height. 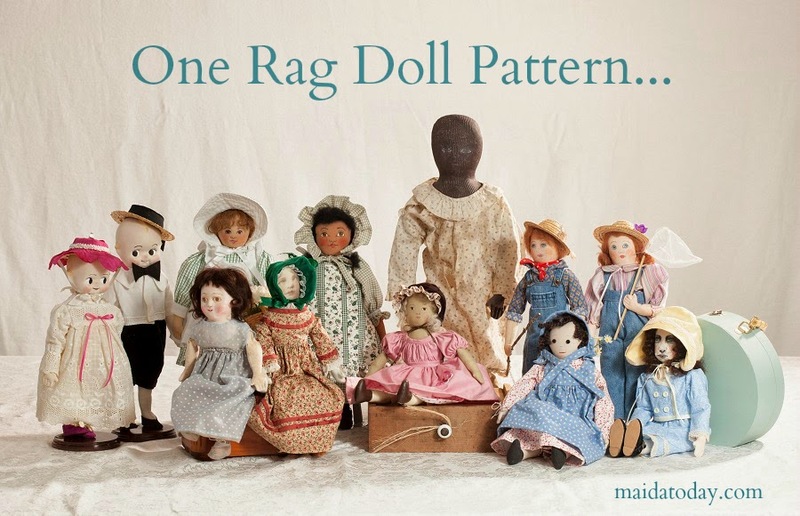 brings to mind Presbyterian dolls. I love her smiling countenance! The hands are a wonderful folk art detail. These mocassin type shoes are so beautiful. Photos by Dixie Redmond courtesy of Withington's. Thank you for making that journey! It enables me to have a peak at that lovely doll! I found the head construction interesting, I've been wondering about how to make the back of the head a bit fuller. Something to learn from! Thank you for sharing those great photos! Tiny Alabama Baby Doll at 13"